Retail Price: $68.00 Log in for LOWEST PRICE! Easily the most recognizable name in California wine, Mike Grgich is not just known for great Chardonnay. His Cabernets are just as legendary as they are age worthy. 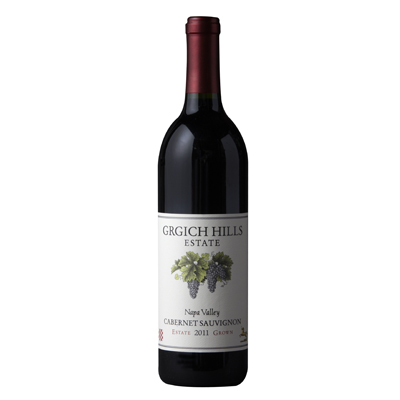 Grgich Hills Estate Cabernet Sauvignon from 2013 is a lovely indigo color. Aromas and flavors of berry compote, clay pot, toasted nuts, and hint of beeswax with a supple, bright, dry-yet-fruity medium-to-full body and a tingling, interesting, medium-long cedar and sandalwood finish with well-integrated, dusty tannins and moderate oak. A well-made dry cabernet that will improve with age.